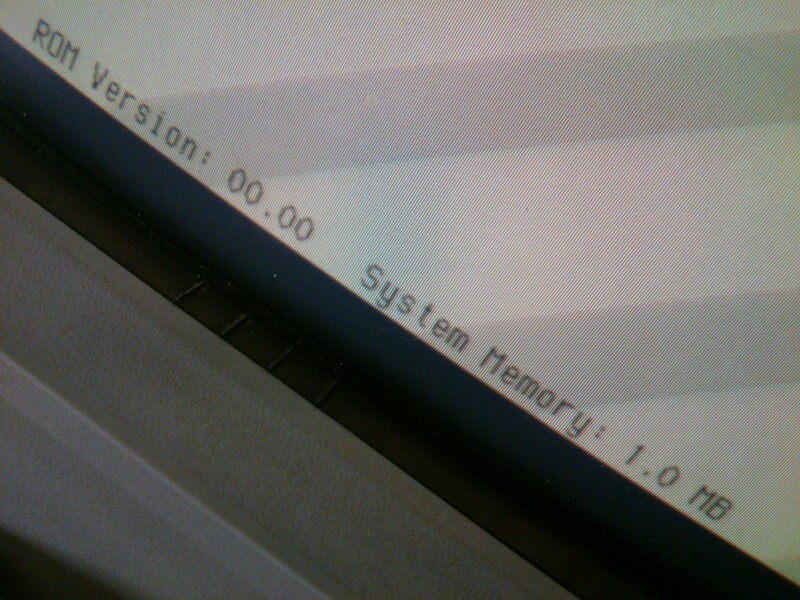 In part 6, I established that something was stopping the floppy disc drives in my 16500A working when I changed the ROMs to software version 00.02. 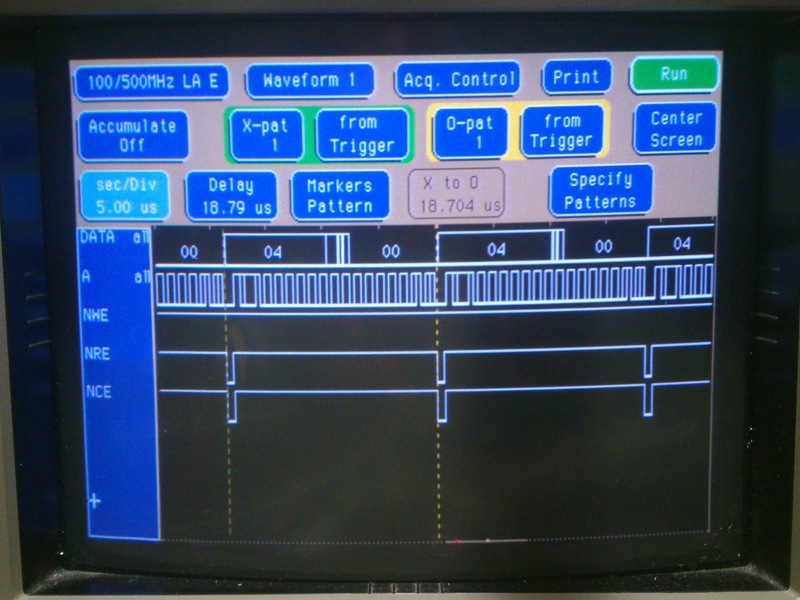 Thanks to the help of some on the hp-agilent-equipment Yahoo group, especially Glen Slick, I have determined that there’s an important difference between early CPU boards running 00.00 and later ones running 00.02: the floppy disc controller chip has changed! 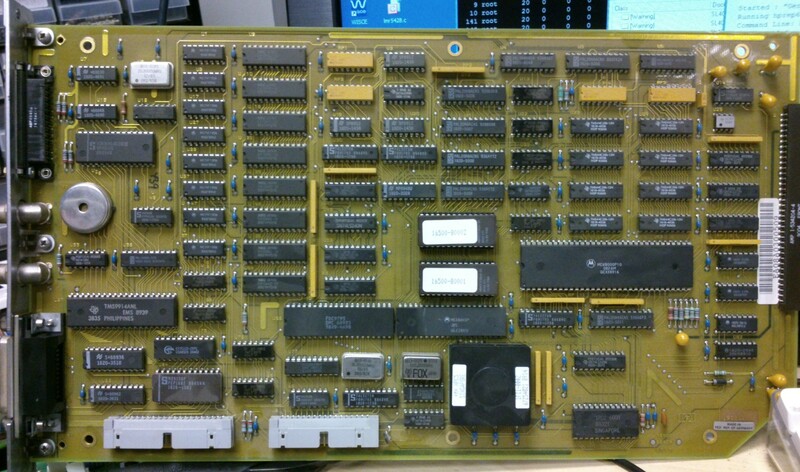 The old board has an FDC9793 and the new one a uPD765 (or at least its Zilog equivalent). 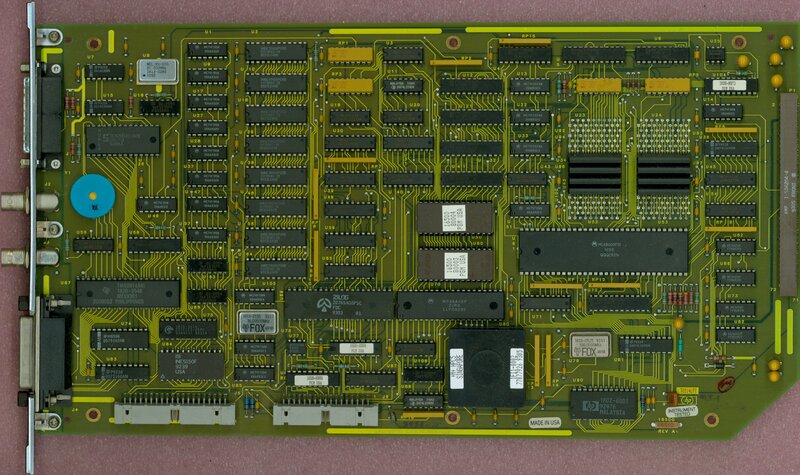 There are pictures of all the boards here. Now, I started to wonder, could I somehow fit the uPD765 to my board? It seems crazy and would only make sense if it wasn’t possible to exchange the whole board. So I started investigate. 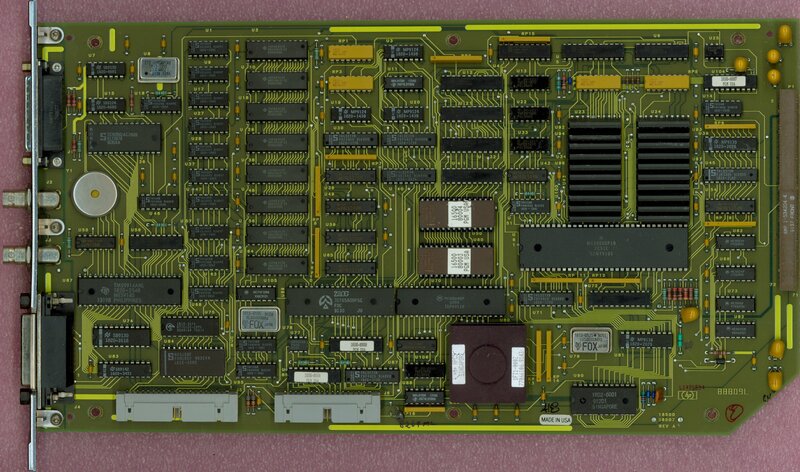 As luck would have it I have a functional 16500B with a logic analyzer plugin, so I could have a look and see what was going on around the disc controller on my CPU board. 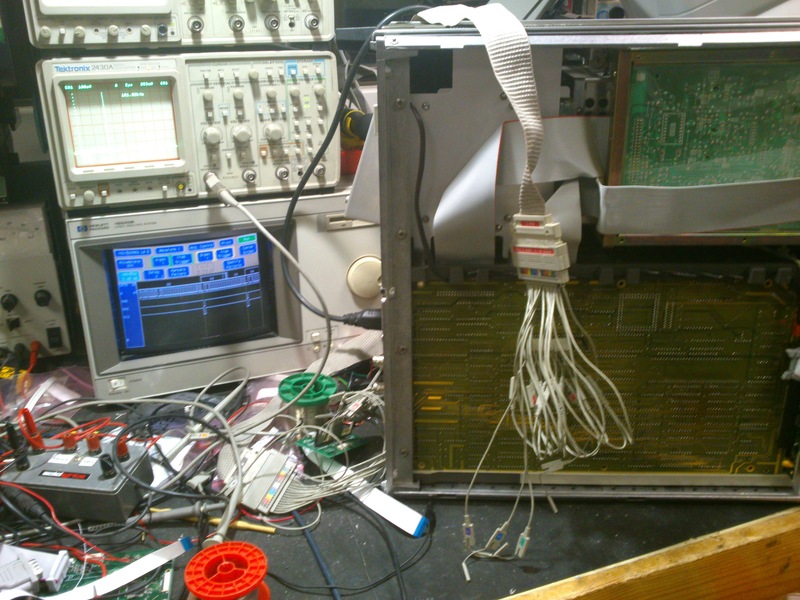 I wired up the relevant pins of the FDC9793. 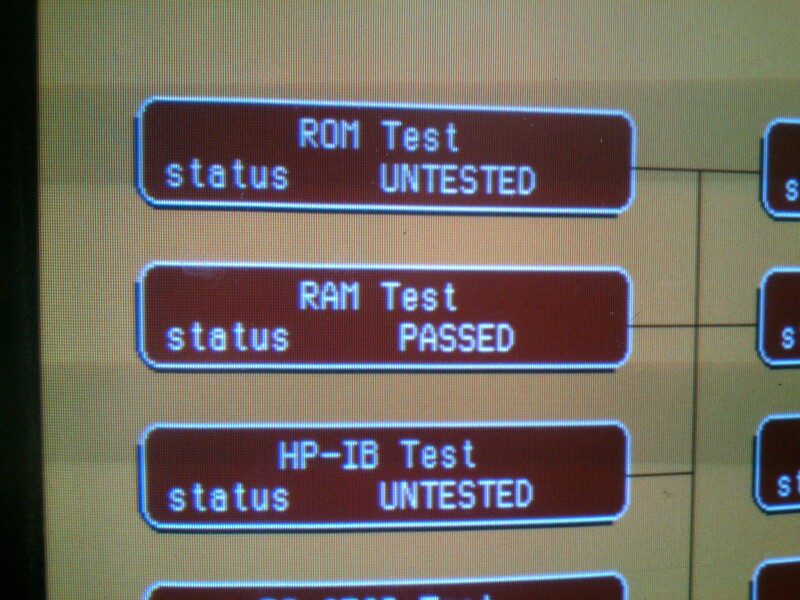 Examining the logic analyzer trace, it seems that the CPU is trying to read something from the disc controller, which is at least a start. There are some important differences here. 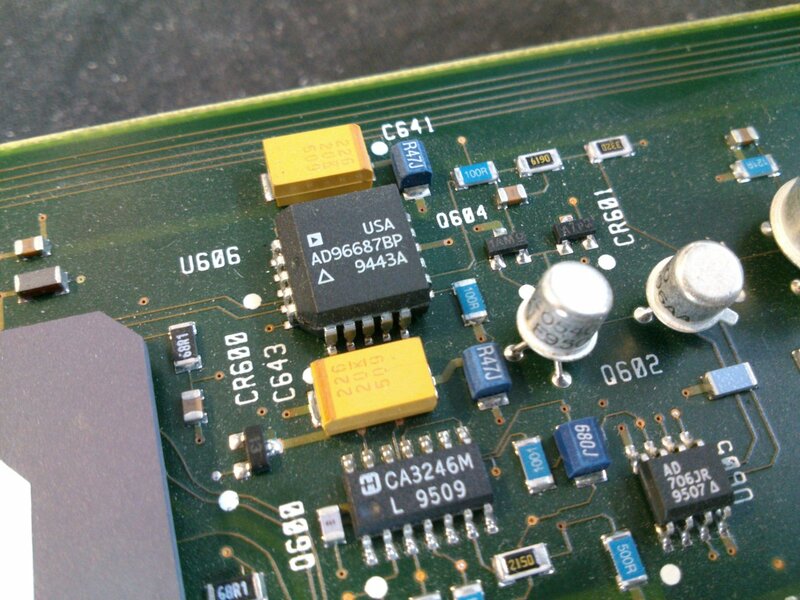 Firstly, the uPD765 expects an 8MHz clock where the FDC9793 used a 1MHz clock. That’s not a good start. 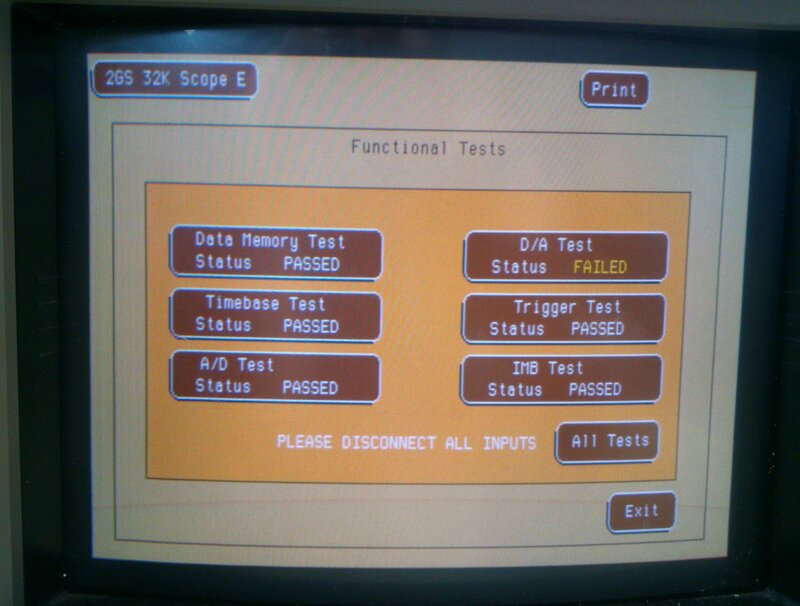 The uPD765 includes drive and side select logic, but the FDC9793 doesn’t. The two also differ a lot in how they handle things like write precompensation signals, and the uPD765 effectively multiplexes various signals too. At this point I think the swap is just too difficult. It becomes cheaper and easier to swap the whole CPU board, if I can find one, or simply upgrade the whole machine to be a 16500B. 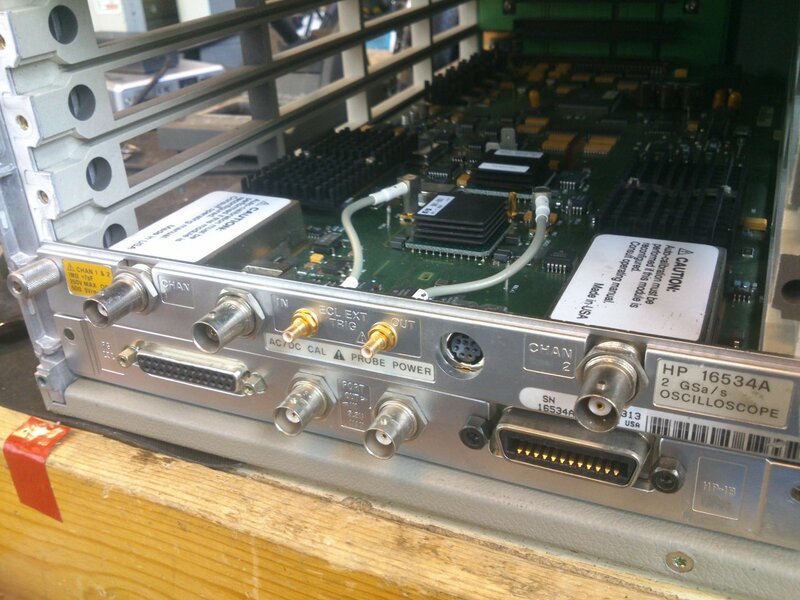 This entry was posted in HP 16500A/B and tagged 16500A, electronics, hp, test equipment, vintage on February 1, 2013 by martinjonestechnology. I’ve worked out the wiring of the SIMM to the CPU board. 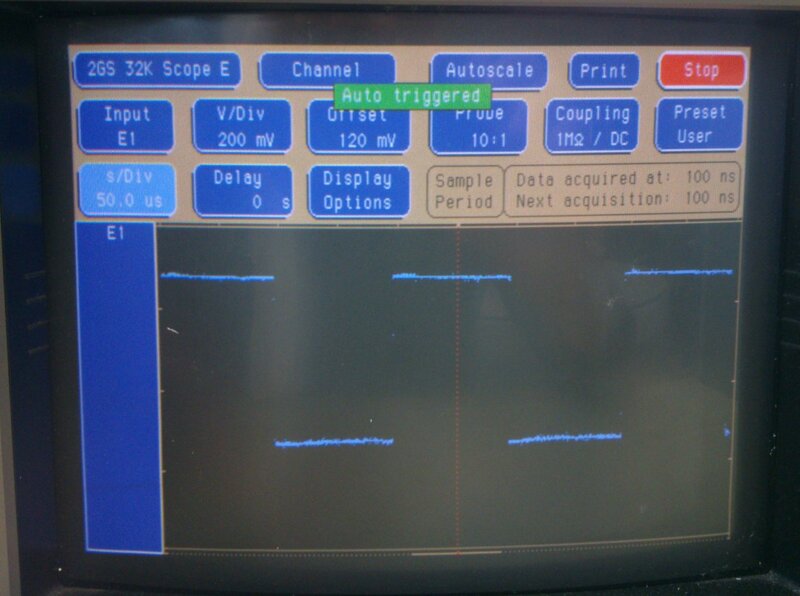 Unfortunately, the OE signal on the SIMM is hard-wired to ground, which is annoying. 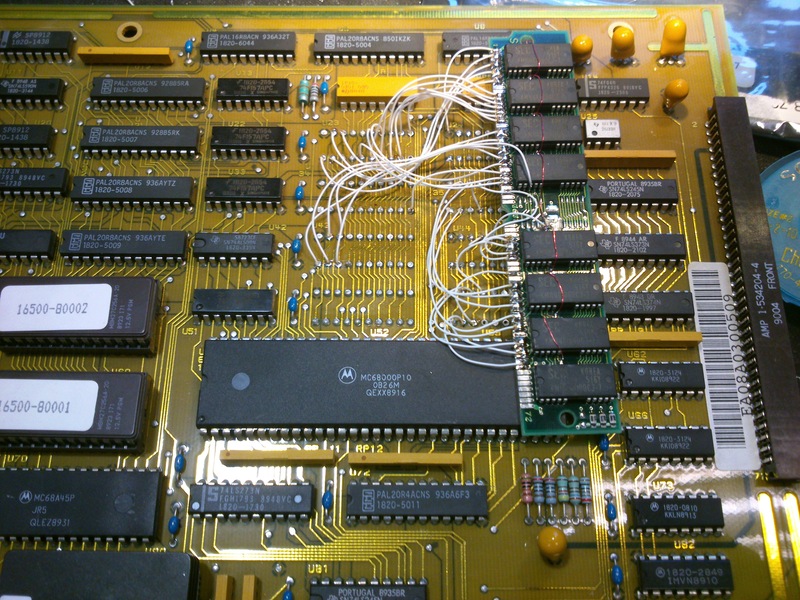 I’ll have to lift the legs (pin 16) of each of the RAM chips and hand-wire them together. 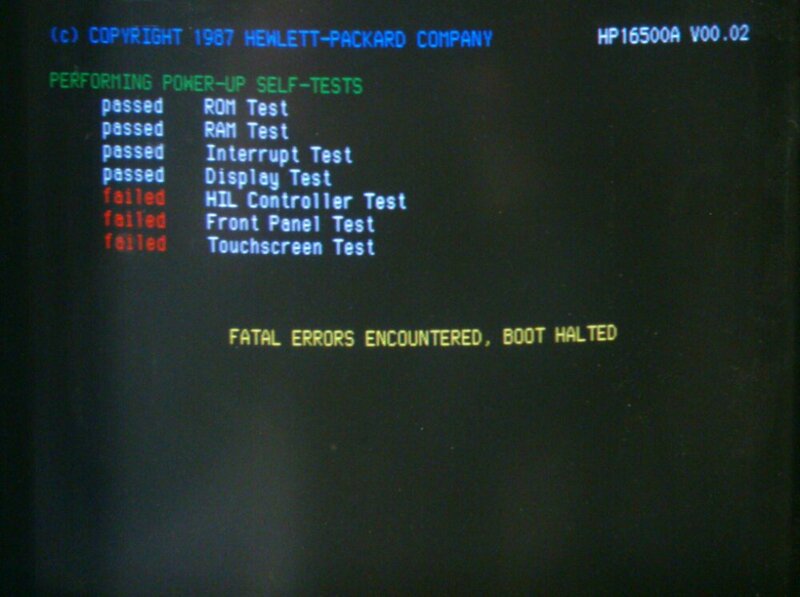 This entry was posted in HP 16500A/B and tagged 16500A, electronics, hp, test equipment, vintage on January 16, 2013 by martinjonestechnology.